Director Marc Forster, IN AN INTERVIEW WITH THE COLLIDER WEBSITE, says he considered quitting Quantum of Solace before the 2008 007 film went into production. There’s an element here of “when the legend becomes fact, print the legend.” To bring this up is like saying Ranse Stoddard didn’t really shoot Liberty Valance. But here goes anyway. In a 2008 STORY ON THE ROTTEN TOMATOES WEBSITE, Forster played down the Quantum script problems. Also, it was reported during production of the movie scribe Joshua Zetumer was doing rewrites during filming. In the Rotten Tomatoes story, Forster took credit for hiring Zetumer. Regardless, Zetumer didn’t get a credit for the movie. That went to Paul Haggis, Neal Purvis and Robert Wade. The “Forster and Craig really wrote Quantum” narrative was first offered up by Craig in 2011 interviews. And that story line has more or less taken hold since, with Zetumer’s contributions totally forgotten. Without their on-screen credit, Purvis and Wade would be in the same situation. To be fair, one can understand Forster not wanting to play up the problems while trying to publicize the film eight years ago. The truth usually takes some time — often years — to emerge. 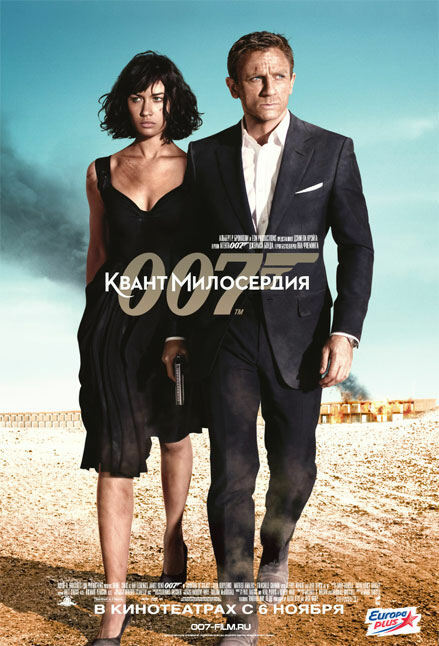 SPECTRE was an unusual case because of the Sony hacks publicized pre-production problems on the 2015 007 film. Still, there are elements of the “Forster-Craig” writing team narrative for Quantum that are more creative than the finished movie. The Quantum reality is likely far more complicated than that.